Angler Sportfishing will tailor your trip to your experience level and preferences. Whether you’ve never fished before, or you’re a seasoned angler looking to learn a new area or technique; Angler Sportfishing will make your trip your own. 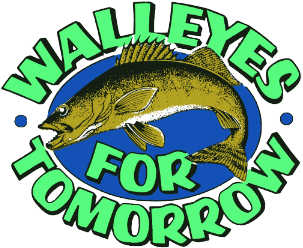 Spring Walleye Fishing on Green Bay and it’s tributaries offers incredible opportunities at Trophy Walleyes, with many fish larger than 28” and fish upwards of 30” not uncommon. March, April, and May are prime time to catch giant walleyes both casting and trolling. The end of May through all of summer is a great time to come out and get some quality fish to keep and eat. Angler Sportfishing Guide Service promotes the catch and release of all large walleyes in order to preserve the fishery, but is happy to work to get you your limit of “eaters” as well! Angler Sportfishing guides both Green Bay and Lake Winnebago for Walleyes. Casting trips for Muskies are best from Memorial Day weekend through the first three weeks of June, and in the month of August. Trolling for muskies can give incredible opportunities for big fish and sometimes multiple fish in a trip. The best time to troll is the end of August through October. While these times are often seen as the best times to target these beasts, Angler Sportfishing will be happy to accommodate trips any time during the Musky Season. Green Bay offers world class fishing for Smallmouth Bass and Northern Pike. Smallmouth fishing in Door County is becoming better known each year for producing an incredible number of fish, as well as fish of true trophy caliber. Smallmouth fishing is normally consistent from the opener in May, throughout the summer. Angler Sportfishing has the techniques and locations to put these voracious fighters in the net! All Smallmouth fishing is catch and release. One of Green Bay’s less publicized resources is its trophy Pike fishery! Angler Sportfishing can get you on Pike casting or trolling during the open water season, or through the ice. If you like to catch big northerns, book your trip with us today! Knowledge, Enthusiasm, and current info to put you in the best position to catch fish! Positive attitude and a sense of adventure! We also offer a 10 Hour trip for $550! 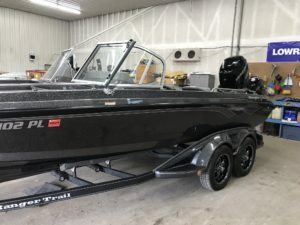 Fall Musky Trolling Trip Special – dark to dark trip for $600! Prices are total for 1-3 clients, not per each client. Accommodations can be made for more clients. Angler Sportfishing offers rentals of Sturgeon Spearing Shacks on Lake Winnebago. All equipment is provided, including spear, decoy, and heater. Prices vary depending on number of days rented and shacks fill up fast! Contact Angler Sportfishing today for more info on booking for Sturgeon Spearing. Angler Sportfishing will also be offering ice fishing trips on Lake Winnebago for White Bass and Walleye. Equipment is provided for this, including heated shacks, flasher, fishing rods, and bait. Contact us today to book your ice fishing trip!